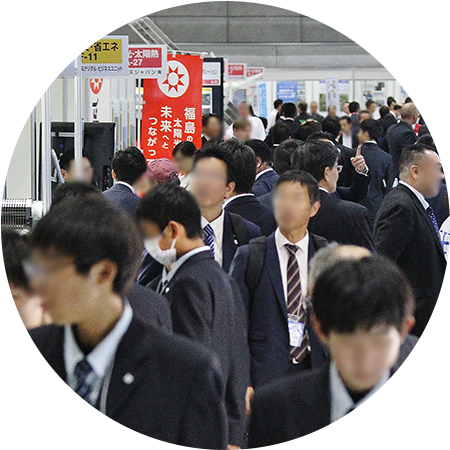 The 7th REVIVAL OF FUKUSHIMA Renewable Energy Industrial Fair2018 2018.11.7-8 REIF Fukushima 2018 was able to be completed in the prosperity. Thank you for visiting the venue. Number of visitors 7,015people Next year will be held on October 30th and 31st. Exhibitors Application form. 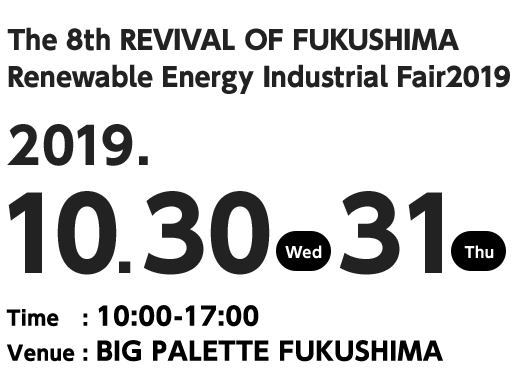 Application Essential Points. 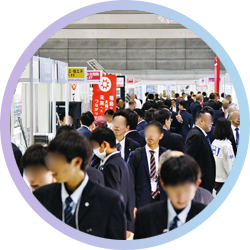 REIF Fukushima provides opportunities to exhibit latest technologies, information and products related to renewable energy businesses. Based on the Fukushima Plan for a new energy society, this year we set the following main themes: a) Expanded introduction of renewable energy, b) Model construction of hydrogen-based society, c) Building smart communities. for the Renewable Energy Industrial Fair. Copyright (C) Renewable Energy Industrial Fair. All Rights Reserved.